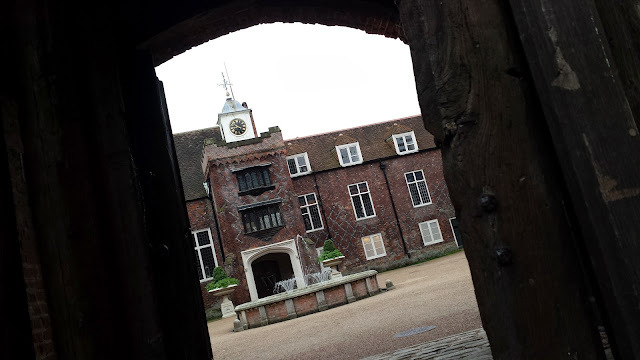 Fulham Palace is of medieval origin and is situated on the North side of Putney Bridge, it was the country home of the Bishops of London from the 11th century until 1975. 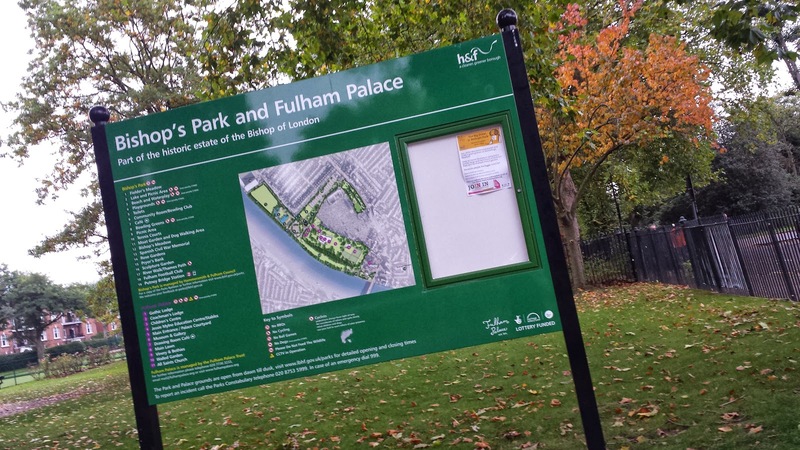 The Palace is now managed by the London Borough of Hammersmith and Fulham and the Fulham Palace Trust. The Palace grounds originally covered 30 acres, it has now been reduced to 12 acres. It also boasts the longest moat in England. Admission to the Palace and its grounds is free and is definitely worth visiting. 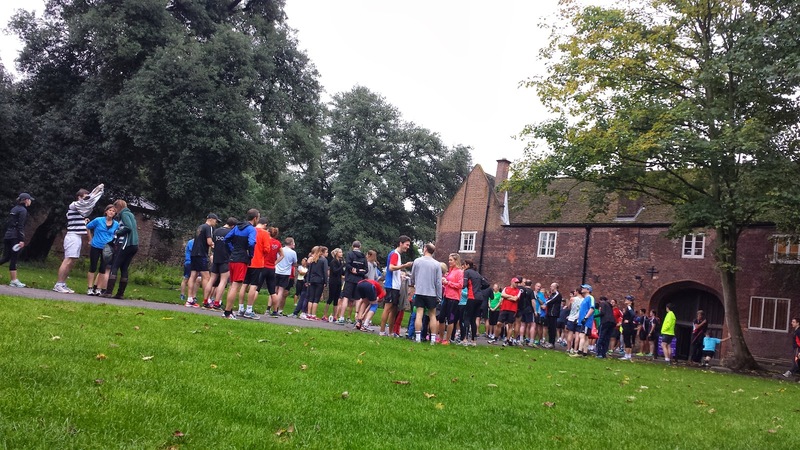 The meeting point for the Fulham Palace parkrun is at the Tudor Gate entrance to Fulham Palace. At the meeting point there is the usual parkrun briefing before runners are lead into Bishop's Park, where the whole run takes place. I'm not entirely sure why the briefing takes place in the Palace grounds and I wouldn't be surprised if it is eventually moved over to the start area. Bishop's park was formerly part of the Fulham Palace estate (this explains the reduction in acreage), and was opened for public use in 1893. Its south-west border forms the embankment path along the Thames which is a very small section of the 296km-long Thames Path National Trail. It is also adjacent to Craven Cottage - the home of Fulham Football Club. The park, along with the Palace, have recently undergone a restoration project with the entire site being altered and modernized. In the park, you'll find fifteen tennis courts, bowling greens, children's playground, statues, gardens and a couple of open green spaces. There's also a very pretty lake, sand pit / beach and picnic area, which is a dog free zone. Talking about dogs, there were quite a few of them around but they didn't seem interested in the additional 192 runners plodding around the park. The park, along with the adjacent 'All Saints Church' (currently encased in scaffolding), played a role in the 1976 horror film The Omen - The scene in question is where a priest is subject to a freak storm after revealing some information to the film's lead character played by Gregory Peck and is subsequently impaled by a lightning rod thrown from the roof of the church. If you haven't seen it, check out this video on you tube. 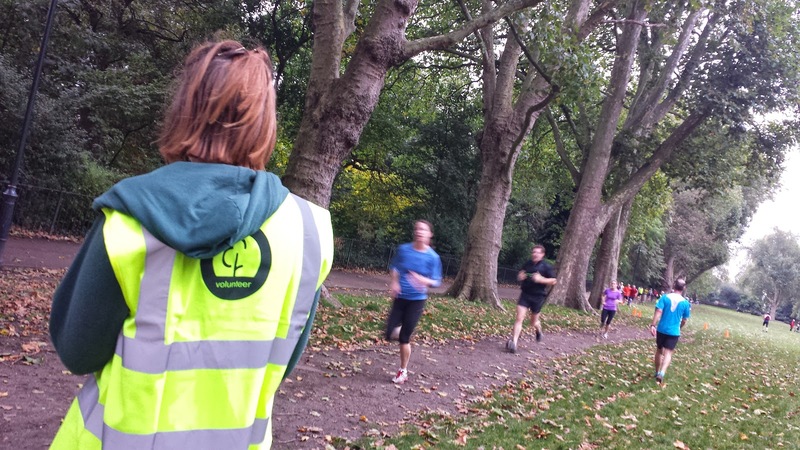 Anyway, back to something a little less sinister - parkrun! I arrived by car and parked on Bishop's Avenue just outside the Bishops Park Tennis Academy (which explains the large number of tennis courts) - Please note that parking in these metered spaces costs £2.20 per hour, but are limited to one hour on days that Fulham Football Club are playing at home. It is worth checking the fixture list beforehand. I did and Fulham were not playing at all on the day I visited, which was the inaugural event on 19 October 2013. 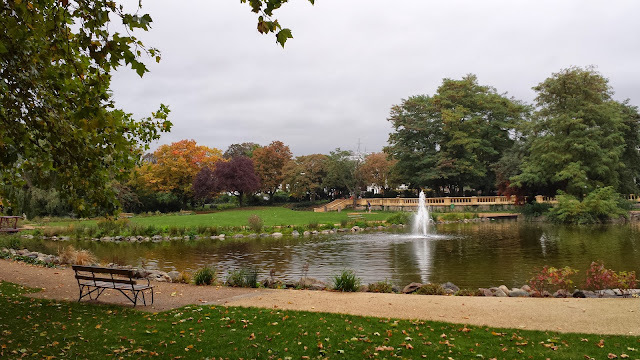 Another way to reach the venue is by public transport where, providing there are no engineering works, you can easily take a district line train to Putney Bridge which is only 700 metres away from the park. If using the mainline trains you'd be looking to alight at Putney, walk down Putney High Street and then cross Putney Bridge. Alternatively you could cycle and lock your bike to one of the many bicycle racks around the park - the obvious racks to use are the ones next to the start line or the ones on Bishops Avenue, right next to the entrance to Fulham Palace. There are toilets right next to the start area, I visited them briefly but I was disappointed that there was no toilet paper or soap available. Maybe I just caught them on a bad day and it's important to remember that a poorly equipped toilet is better than no toilet at all! I and Mrs7t-before-she-was-mrs7t actually lived just across the bridge in Putney a few years back, so it was nice to be back in one of my favourite parts of London again. We both still have a huge soft-spot for this area of London and were sad to leave. Apart from the last few metres, the entire course is all on tarmac. It is pancake flat, and is made up of about two-and-three-quarter anti-clockwise laps. It starts on the northern side of the park, next to the lake and picnic area (it also has a large sand pit) and heads north-west towards the football stadium. I'd advise staying to the centre / left along this section as the right hand side is marked as a cycle path. 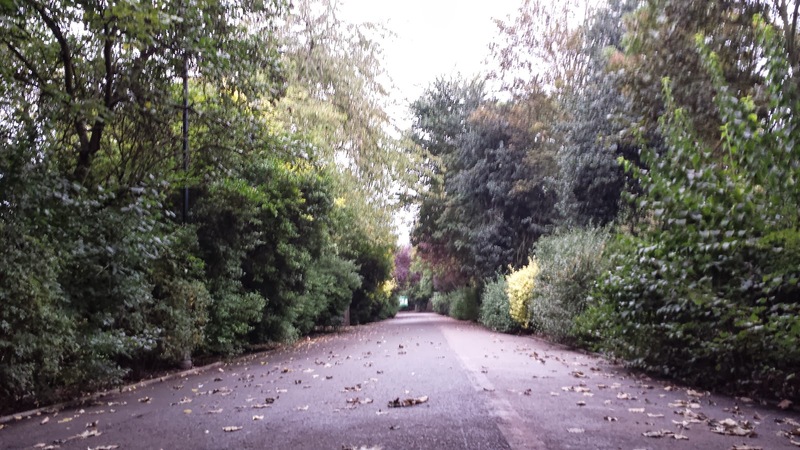 Once in the shadow of the local area's second largest football club (Chelsea FC is just down the road), you'll swing left - watch out for the benches on the path about half way along this stretch, especially on the first lap while there is still congestion. When you reach the river, you turn left and run along the river path (this is the one that runs adjacent to the river behind the line of trees - not the one before the trees next to the grass). Now for your run along the lovely tree lined embankment path. 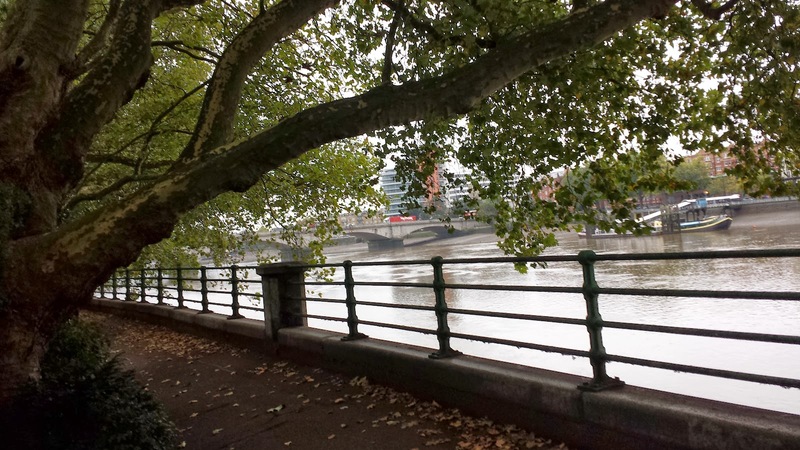 Trees to your left, river to your right. This path is a popular vantage point for viewing the first section of the Oxford and Cambridge boat race. The embankment path does have a slight interruption where you have to break your stride in order to work your way around some steps that lead down to the river which, as I understand, were used to board a ferry service across to Putney in the days before there was a bridge (if that is wrong please let me know and I will update). 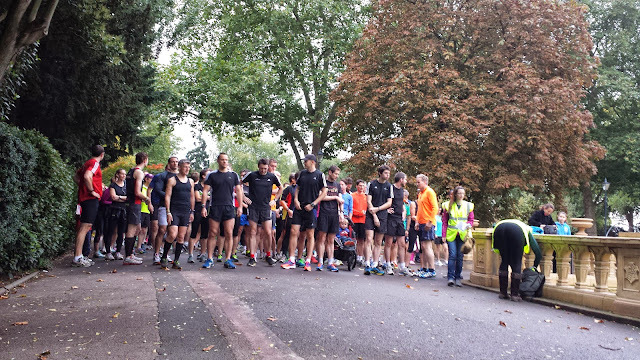 It's not long before Putney Bridge comes into view and just before you reach the Spanish Civil War Memorial, the course takes a slight left hander before dishing up a second, much tighter, left hander where you start heading back in the direction of the start area. Next up, as you reach the playground there is a nice sweeping right hander that leads into a sweeping left-hander, where you emerge back at the start line. On the third lap, you'll find the finish line on Bishop's Meadow - which is the open grass area flanked by trees just before you reach the right hand turn. The course is perfect for a spot of buggy running and to prove the point there were a couple out on the course today - one of them overtook me near the end of the first lap and finished well in front of me - I suspect their time was well under 19 minutes. A huge thank you to all of the marshals, and especially to Louise (@Abradypus) who was on the first corner and enthusiastically cheered me on by name as I passed her on each lap. 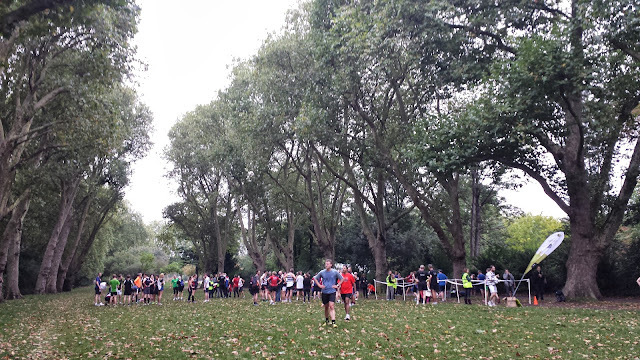 The post run social is held in the Bishop's Garden Cafe, which is near the start line / playground / toilets. Unfortunately I couldn't hang around as I had other post-parkrun commitments (shocking, I know). It's a lovely park for a parkrun and the course is super fast. In fact, it's so fast that I ran a new 5k personal best, taking 7 seconds off my previous pb which had stood for two years, one month, and three days. That's 109 weeks (or over 1 million minutes)! Update: There has been a slight course alteration since I ran at the event - The finish is no longer on the grass and the start has been moved slightly. The course map has been updated to reflect this. I also understand that the briefing now takes place in the park rather than the grounds of the Palace. Please see the comment from Rob C in the comments section below.